Being a voiceover artist can sometimes be a lonely business. We can spend hours working from our home studios and sometimes we don’t get out very much. It’s a very exciting industry to work in, and I believe it’s the best job in the world! But the industry and technology are moving fast and things are changing all the time. So it’s important to keep up to date with the latest news. It’s also important to have a support network of people you can turn to for help, advice and support. Who you hang around with matters, a lot. 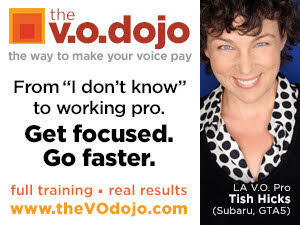 A great place to find out what’s happening in the voiceover industry in terms of technology, marketing and social media, etc. So, what is The VoiceOver Network? About a year ago I met up with three other voiceover artists in Richmond, West London to catch up. We had a lovely evening sitting by the river talking about what was going on in the industry and our businesses. It was an interesting and useful evening so I decided that I’d organise another one for the next month for West London Voiceover Artists. Another fun night was had, and by the third night word had spread that there was a regular voiceover meet-up and I was contacted by VO’s from other parts of London and asked if they could come. Of course I said yes. 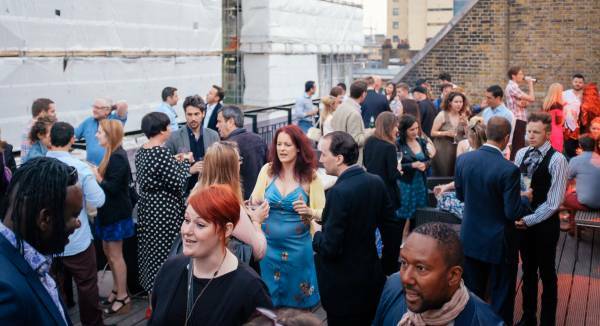 I went on to organise two more West London Voiceover drinks, which grew very fast in numbers and made me realise this was something valuable for voiceover artists. This was followed by a Christmas party at a private members club for actors in central London so that all voiceover artists who wanted to join us could. This party went down very well. 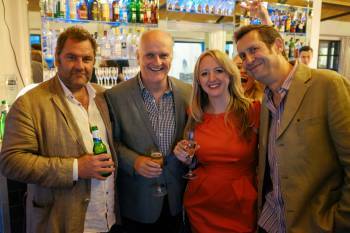 It was a fantastic evening and was the beginning of something very special and important in the voiceover industry. 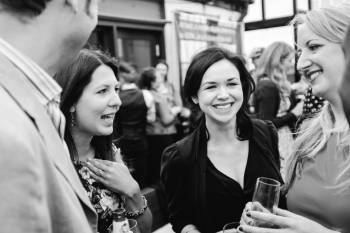 I also saw an opportunity to invite producers, agents, sound engineers and casting directors to the central London drinks. Summer Party photos courtesy Owen Billcliffe. After having a few meet-ups, usually on the last Friday of every month, it seemed time to crank things up a notch with a big Summer Party with special guests. The venue was a very important aspect to this party and I’d looked at a lot of different ones, but Envy Post Production on Foley Street couldn’t have been more perfect. With its high ceilings, silver chandeliers, an exclusive venue and the beautiful roof terrace, it ticked all the boxes. People who came were some of the UK's top voiceover artists, producers, agents, directors, sound engineers, and also a business coach. A couple of production companies also attended, actively looking for new voices for upcoming projects. The night was sponsored by the brilliant ipDTL, and founder Kevin Leach joined us to answer questions and demonstrate how to use this ISDN alternative. Our industry is going through a lot of very big changes at the moment, so it’s incredibly important to keep up to date with the latest technology, etc. 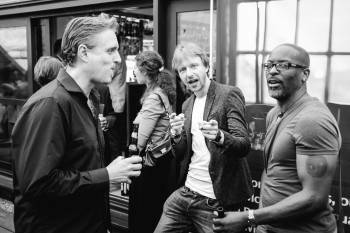 By making the meet-ups a definite monthly drinks, we've created a community and a support network of trusted friends in the voiceover world. It’s been very important to me to create a friendly environment so that anyone who wants to can join us for a drink and be welcomed. Yes, this is a very competitive industry, but there are also some really wonderful people in it. Instead of being scared that others will steal our contacts and work, it’s important to help others in the industry. If you do good things for other people it really does come back to you. I’m pleased to say that the future looks very good for The VoiceOver Network. 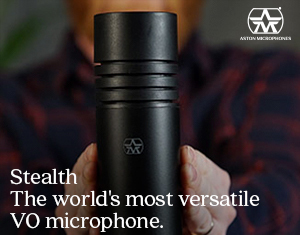 It’s been a valuable tool for a lot of people who come to the meet-ups. Success stories keep coming in about getting new clients, more work, new agents, new friends, advice, help and support. Moving forward, there are a lot of exciting things I’ve got up my sleeve, but for now I can tell you that we will be continuing to meet on the last Friday of every month for a catch up, drinks and mingling in a top London venue. Please also say hi on Twitter - https://twitter.com/NetworkVO, and visit our Facebook page: The VoiceOver Network. 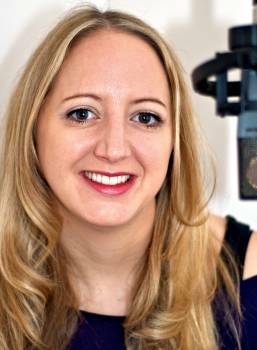 Rachael Naylor is a London-based voice over artist, actress, writer and entrepreneur. Some of her recent voice over clients include Virgin Media, BMW, Cadburys, Toni and Guy and American Express. Rachael also runs The VoiceOver Network, running events and drinks for people who work in the voice over industry in the UK, including monthly meet-ups. I'm a British VO living in LA. I just happened to be in London the weekend of the party and despite jet lag couldn't miss this opportunity. It was wonderful to be able to drop in and meet some of my UK colleagues, and actually I did make some good connections with some production people. I think the industry is a bit different here to the UK, and whereas we are over-saturated with the cottage industry associated with VO, in England it's a bit different. I think Rachael is providing something that is special and really helps eliminate the isolation of our work. The following Monday I had the pleasure of having lunch with Rachael and Justine Harris, which was such an enjoyable time. With our industry being more and more global, it's wonderful for me as an ex-pat to have this connection, and anything I can do from this side of the water to bring our two countries separated by a common language closer together will be my pleasure.